If it's sounds a little like Knocked Up in reverse that's because it's a little like Knocked Up in reverse. She's the slob (she drinks too much, has no direction in life), he's the together one (he wears a coat and a scarf). While the roles are reversed here, it's interesting to see that Gillian Robespierre's script doesn't paint him as the joyless shrew - Katherine Heigl's words! - that Alison was. He's an all-round decent chap. A little dry, sure, but wholly likeable. At times it can stick too close to rom-com conventions - the gay best friend (Gabe Liedmann) who fancies the romantic lead, the great misunderstanding, and then the surprise turnaround - but also delights in being the least romantic of romantic comedies going: public urination and a fart lead to a first kiss and a first date conversation revolves around defecation but while it can veer close to American Pie gross out humour - it's not often we see ‘that' knicker gag - it always veers off just in time. It's also refreshing that no one has great faults to overcome - both are agreeable from the off and while she might have the Seth Rogan-esque arrested development character arc to go through that journey is turned way down in the mix. Sorry to go on about Knocked Up there but we have to skirt around the question of abortion - will she/won't go through with the procedure - as that would be a major spoiler. 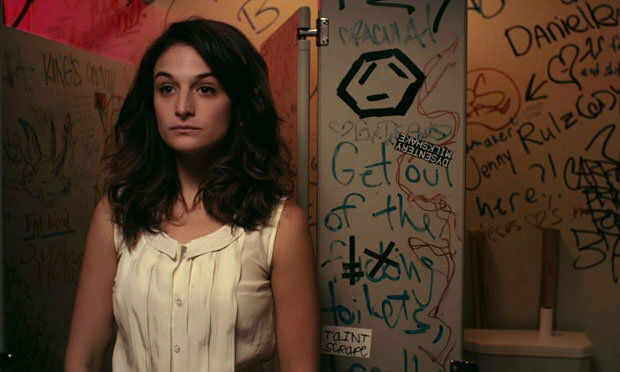 What Obvious Child manages to do, I can say, is deal with it without sermon or lecture, which is a feat in itself.